Frank Brcak Jr., age 97, beloved husband of Marian (nee Charvat) for 60 years. Loving father of Frank E. and James M. Brcak (dec.). Brother of the late Edward and Fred Brcak. Uncle of many nieces and nephews. His loving dog companions Duke and Jennie. 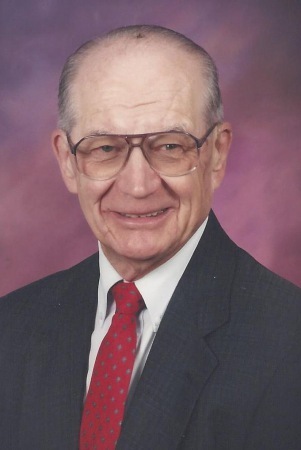 Frank earned his undergrad and graduate degrees from Case Western and was a CPA for over 40 years. Memorial service to be held Monday, October 8th at 2:00 pm at Jenkins Funeral Chapel, 2914 Dover Center Road, Westlake. Drag the Cloud to the circle on the side.Touch the Cloud to move it to the circle on the side.